My summer of exploring around the Languedoc Roussillon is sadly over, but some great wines were enjoyed. I was delighted that some of my picks have appeared in the national press recently, particularly Cremant de Limoux, which I served throughout the summer to our guests, and was hugely well received. Also, Matthew Jukes in The Mail wrote about Picpoul de Pinet 2016 Villemarins from Majestic, the exact wine I chose. It is on special offer at £7.99 from £9.99 until 30th October; its great value and very on trend at the moment! The Limoux is also on offer at Waitrose: Cuvee Royale Cremant de Limoux is at £8.99 down from £11.99. I must say that I really enjoy reading wine articles in the press, and sometimes take recommendations from authors from a broad spectrum of backgrounds and tastes. There are some recommendations which I will naturally take more seriously, particularly from some magazines. There is a regular feature in one magazine called ‘Weekday Wines’. I look at this first, see something that takes my fancy, usually from the mainstream supermarkets, and zoom and buy them before anyone else realises what’s going on. It’s one of my more enjoyable monthly chores. 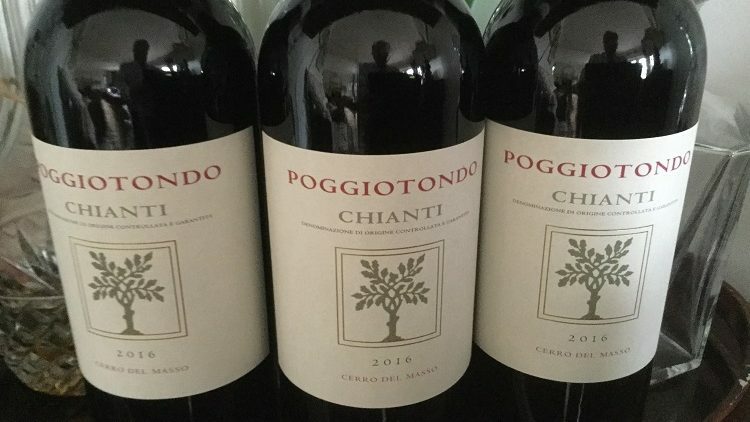 This month I saw Cerro del Masso Poggiotondo Chianti 2016 as a recommendation. I know very little about Italian wines, but I am very willing to learn having tasted this. It’s very smooth, has cherry fruit flavours with hints of spice and, once opened for a while, liquorice comes through. It’s on at Waitrose, priced at £7.99. I have purchased another case since the first bottle, disappointed at now being 2016 instead of the original 2015, however it is as good as before and brilliant value for money. Whilst in the Languedoc, I purchased some Gewurtztraminer from a producer in our village. It’s lovely but a bit sweet, but at 4 euros, it certainly very drinkable. I have been buying Sainsbury’s ‘Taste the Difference’ Gewurtztraminer for years. It is wonderful stuff, with flavours of lychees, rose petals and Turkish Delight. It’s a good wine to come back to at £8.25 a bottle (it was £8 before I went away). It’s still great value but the state of the euro will inevitably put prices up. Until next month, pip pip.